Phishing is the most common way bad guys steal your passwords and hook viruses to your machine. This is routinely done via email, but this practice is becoming more popular in SMS messages in a practice Forbes has called Smishing. Today, I received one such message and thought I’d go deeper and get to the heart of this malicious phenomenon. I was on a job site and several hours into the project, and I wanted a coffee. Anything I would have purchased would have been cold by then. I thought, why isn’t there a crowdsource app that could help me have a coffee delivered? If you want something and delivery isn’t an option, Runner can get it for you. If you’re free and will would like to make some money, be a Runner. Let me explain how this would work. Would Windows 8 Have Succeeded As Two Versions? When I’m asked about “What if” scenarios, it often turns to thinking of the supposed failure that is Windows 8 (and 8.1, to a degree). Many users and technology enthusiasts alike have theories as to how the the failure of Windows 8 in 2012, could have succeed if only Microsoft did something different. From creating different versions, to allowing the Start Menu from boot to an alternative patch of Windows Phone 7. The more intriguing question, however, is if Windows 8 would have succeeded if Microsoft branched its “Metro” and “Classic” interfaces into two distinct products. How Easy Is It To Hijack A Whatsapp User’s Account? The mobile messaging tool Whatsapp has been attracting some intense scrutiny recently. I do agree that the flat way Whatsapp uses contacts is worthy of question. 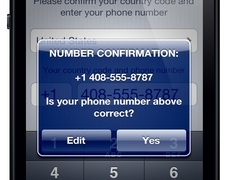 Contact information should only be accessible and used for short periods of time, and users should be in control of what is shown. Right now, if I have Whatsapp installed, I can’t stop my account and status from being displayed on another users device so long as they have my phone number (and, provided I haven’t blocked their phone number). Being able to control what is publicly displayed would go along way to helping Whatsapp with privacy issues. But, the application appears to also be easily hijacked; that’s a problem and I’ll show you why. You might remember a post on this very blog talking about a game addiction to Plants vs Zombies, the very popular strategy game on many platforms. One of my first experiences playing the game was on an iPad, and then on the iPhone and, more recently on an Android phone and tablet. Since purchasing the Nexus 7 (review here), I’ve wanted to try to Plants vs Zombies again so I went to pick it up in the Google Play store. What I purchased for $2.99, however, was disappointment. New Mobile Operating System: Tizen – Should Apple Be Worried? Generally, I think of myself as a person who keeps up-to-date on current events related to technology. I thought this was true when related to mobile operating systems too. But, there is one thing that is always true “When you think you know allot, along comes something that shows you how little you really know”. This is true for a new smartphone operating system that has been under my radar for the better part of a year. No longer, I can tell you about Tizen and the promise this new OS brings. In a recent event, Rogers and CIBC have jointly announced (read the release here) a mobile payment solution based on NFC (Near Field Communications). This announcement is apparently a first in Canada (contact-less payments are already possible by way of other solutions – but generally not with smartphones). 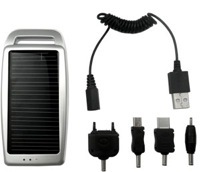 Mobile Solar Chargers: A Gimmick Or Useful Tools? While visiting (as I often do) my local computer shop, I came across a nifty tool that I thought was very interesting. Given that all they had was the Arctic C1 Portable Universal USB Charger – Solar Panel – I wanted to take a look and give it a try. The packaging indicated support for the iPhone and iPod devices and look to have a number of different connectors to use. Heck, it was $14.99 too, so you really can’t lose there, right? I’ll take you on a tour of how this device works, what I liked and what I didn’t like about it – and whether I think this is a useful tool for mobile users.